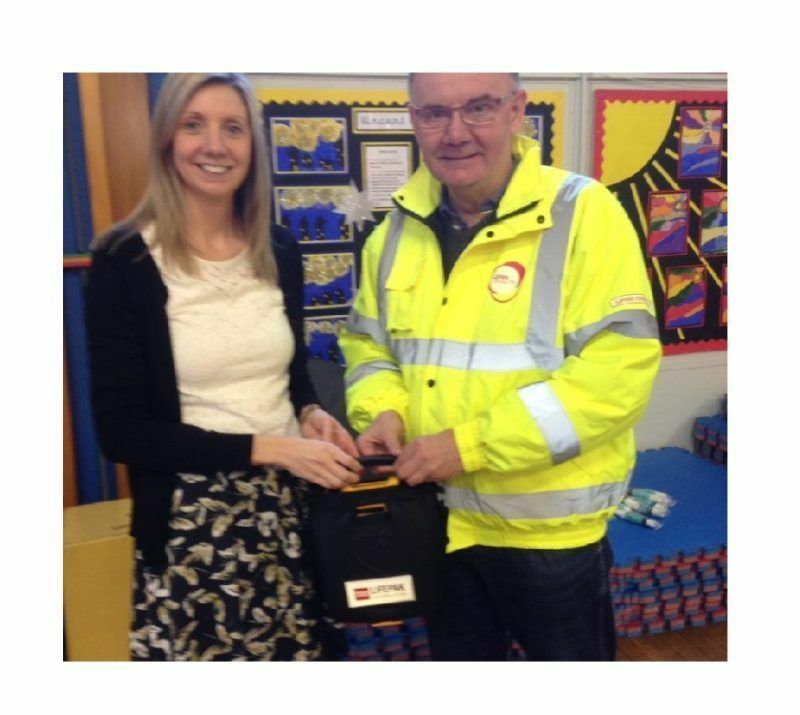 Lanes Group has presented a heart defibrillator to a West Yorkshire school which was chosen to receive the life-saving device by the company’s staff. The national drainage and maintenance specialist, which has its headquarters in Leeds, has donated the equipment to Pudsey Primrose Hill Primary School. Five members of staff and 30 pupils at the school, in Stanningley, also received basic life support and awareness training. They were benefiting from Lanes Group’s ‘Protecting Life is Close to Our Heart’ initiative, which helps people in local communities who suffer potentially fatal cardiac arrests. Lanes Group is working with national charity Hand on Heart to donate a defibrillator and provide training, together worth £3,000, to a school close to each of its depots across the UK. The devices will be available to help save the lives of anyone in the school or living nearby who suffers a sudden cardiac address. An estimated 12 people aged under the age of 35 die in the UK from sudden cardiac arrest every week, and on average five of those happen in schools. Pudsey Primrose Hill Primary School Headteacher Lesley West said: “The defibrillator gives us extra assurance that we are ready to do all we can to help should the worst happens. “We have close ties with the community and can make sure local people know the device is available, and trained staff are ready to help save a life. Debi Bell, Lanes Group Head of HR Services, and Paul Remmer, Regional Manager of the Lanes depot in Leeds, presented the defibrillator to pupils and teachers. Debi said: “Health and safety is absolutely central to the drainage services we provide, so we are very pleased to extend that principle, by giving schools the means to save lives. Hand on Heart, based in Salford, Manchester, says national medical records show more than 600 young people die each year from sudden cardiac arrest. Of those, 270 happen in schools. The charity has distributed more than 550 defibrillators since it was founded, and more than 500 have gone to schools.